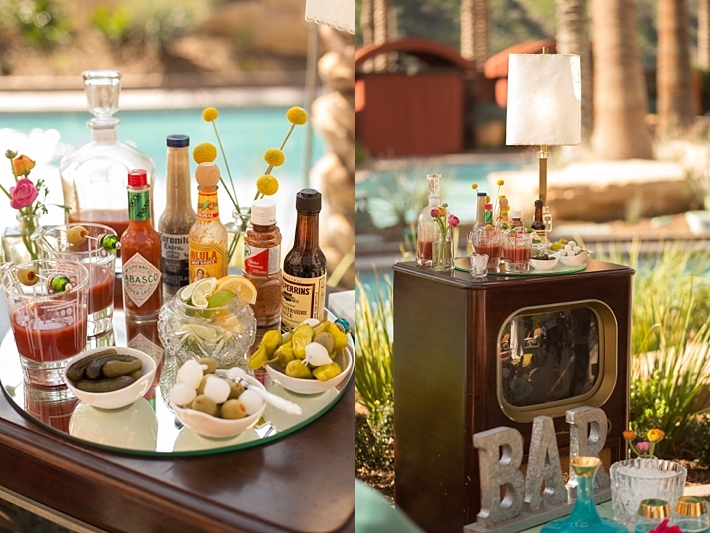 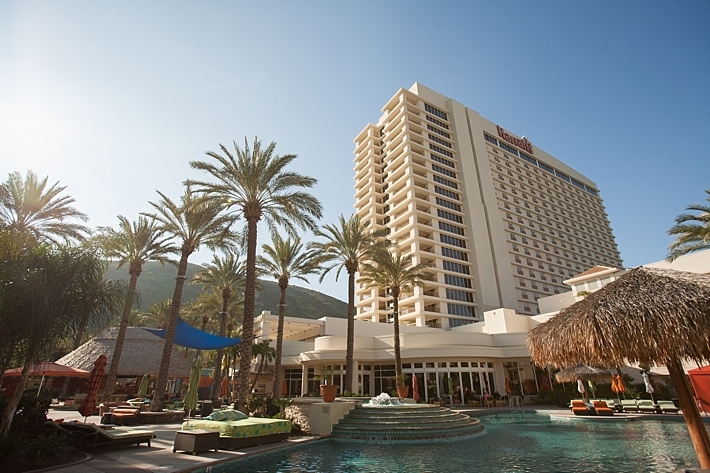 "Harrah’s Resort was the perfect sunny setting for a stylish and relaxing day-after brunch at the pool, complete with sweet bites, a Bloody Mary bar to offer a little “Hair of the Dog” after a night of celebrating. 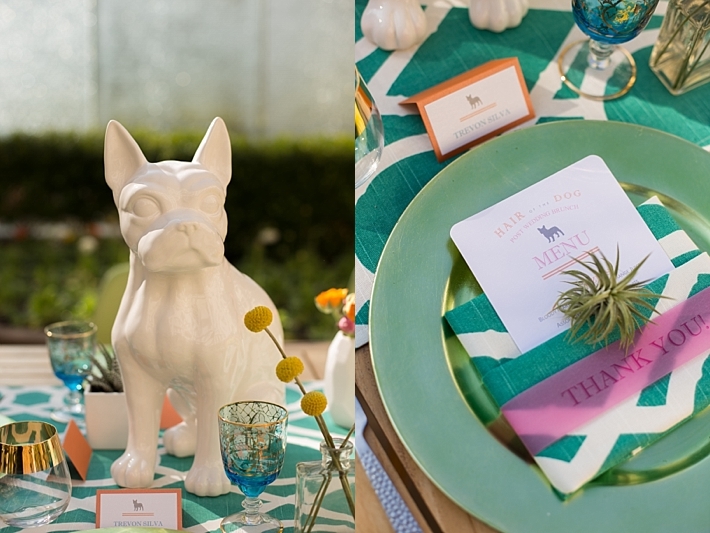 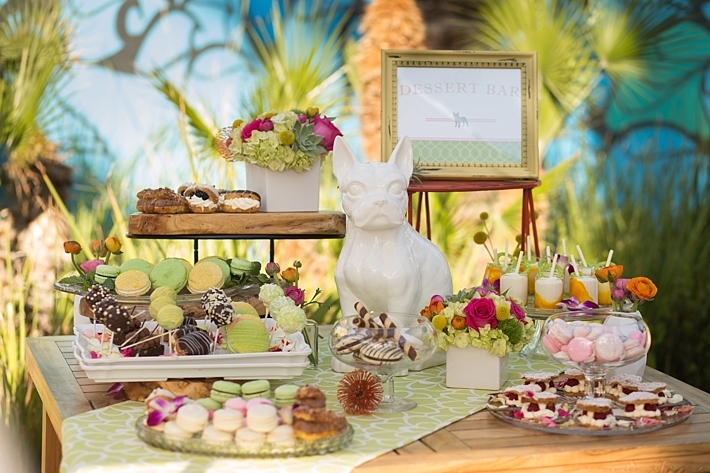 The inspiration for the design was Madam Palooza's French bulldog, Francois, who was the star of the table design. 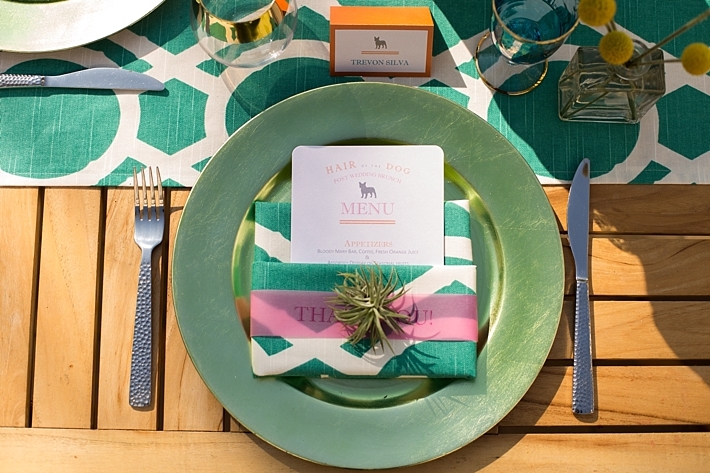 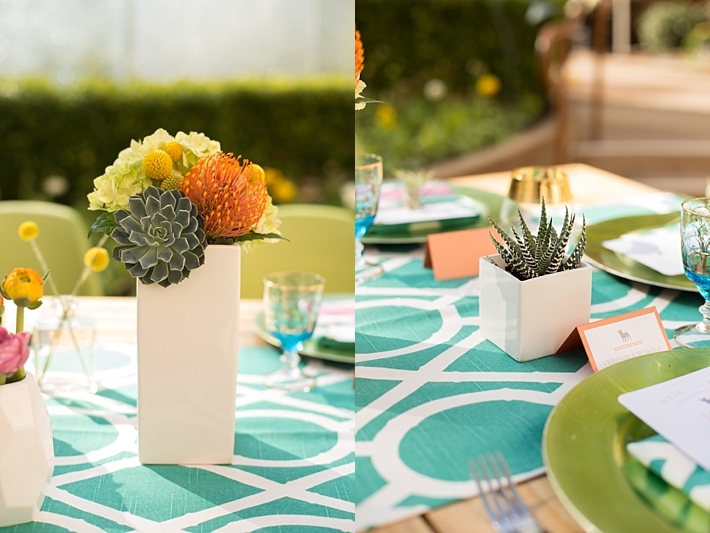 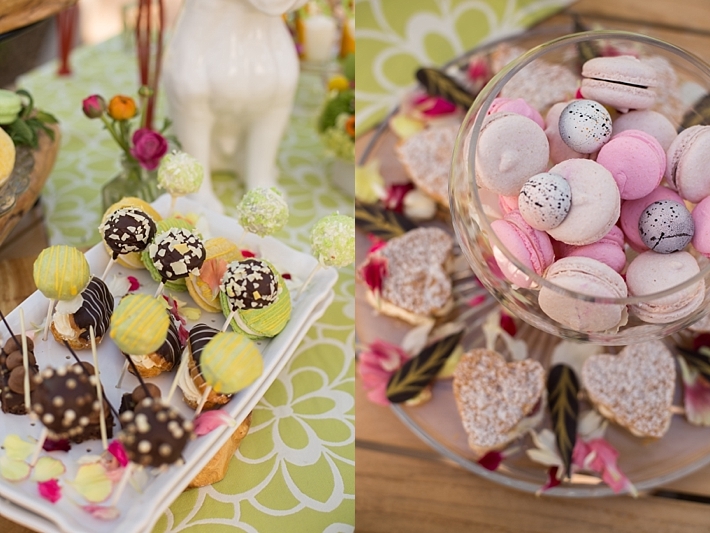 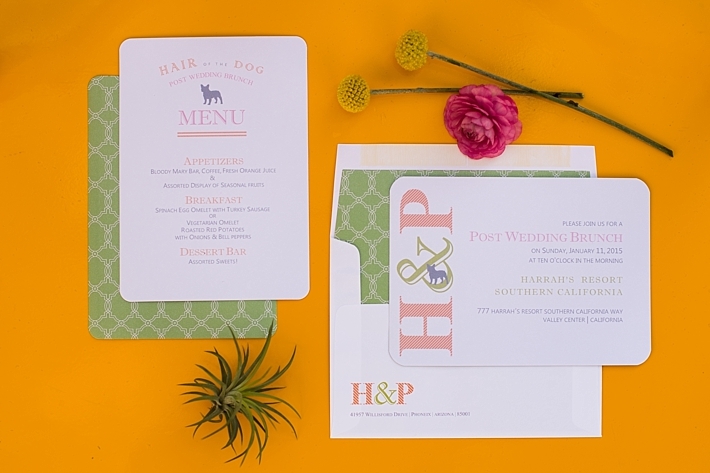 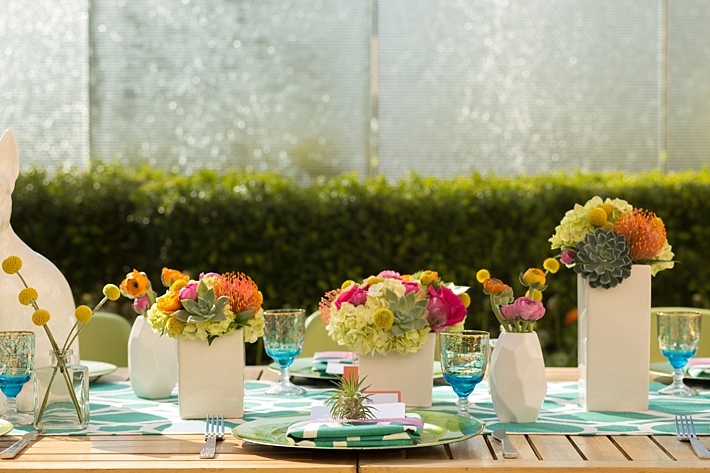 This concept featured bold geometrics, fun florals, and a retro-vibe, iconic of SoCal casual chic." 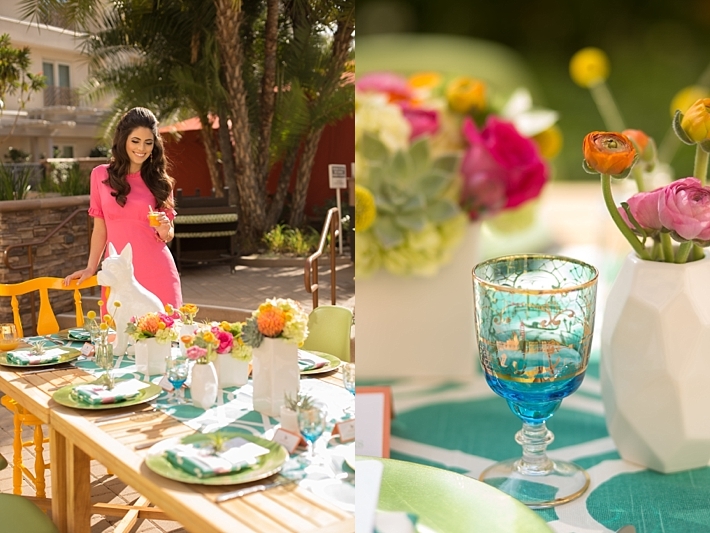 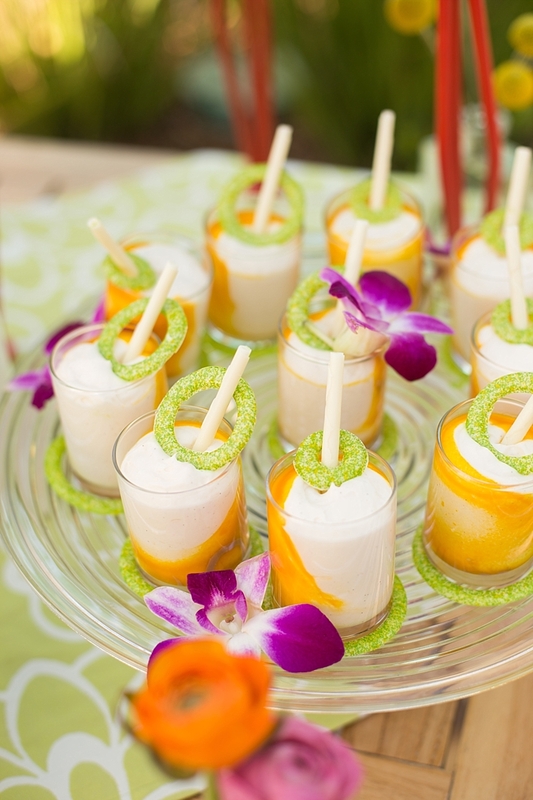 Michelle Garibay Events is a Southern California Bride Preferred Member. 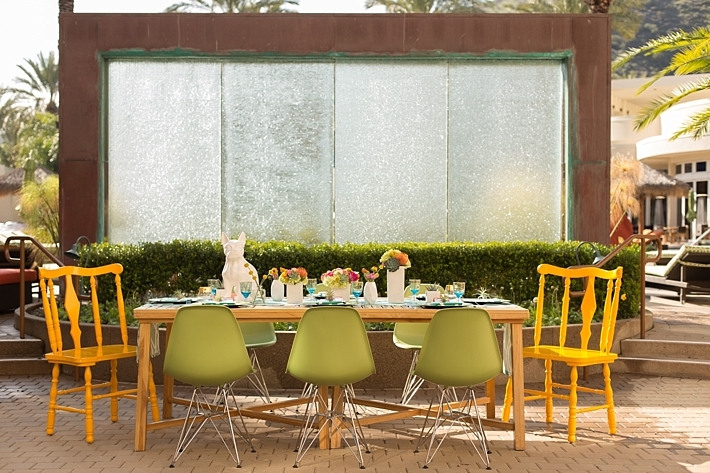 View her profile here.